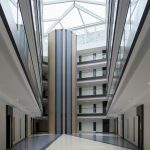 At Techniglaze, we recently supplied and installed over 300 windows for a heritage installation in Bristol city centre. 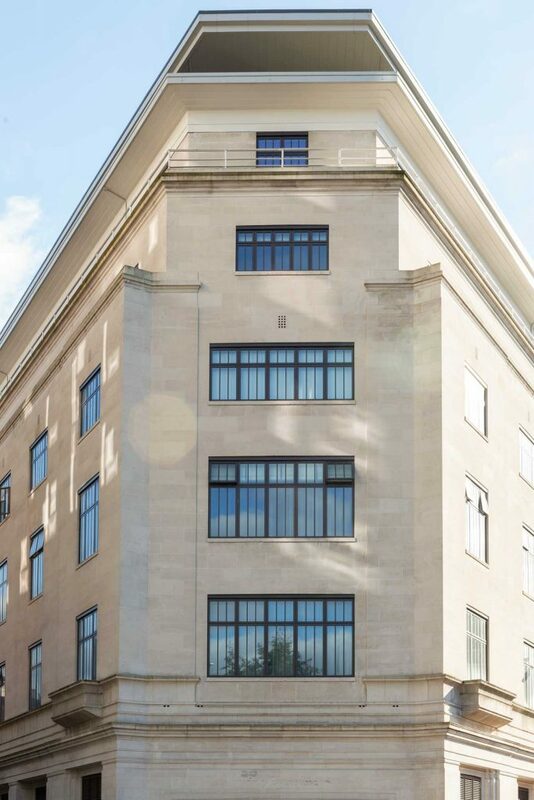 Originally designed by architect Sir Giles Gilbert Scott, Electricity House is an imposing Art Deco building situated in the heart of Bristol’s Broadmead shopping district. 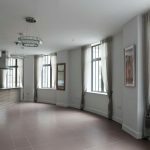 Having fallen into a state of disrepair, the conservation area building has now been restored to its former glory with its traditional aesthetic tastefully maintained. Techniglaze were appointed by building development company Crest Nicholson for our experience and technical expertise in the sector. For the project, we used windows manufactured with Smarts Alitherm Heritage System. 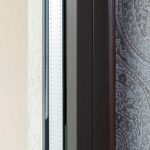 The system is designed to replicate the look of traditional steel windows while providing all the benefits of modern aluminium. 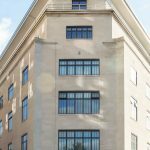 Using the Alitherm system enabled us to replicate the original Art Deco features integral to the building’s design. Being located in a busy commercial area, excellent thermal and acoustic insulation was essential for the windows. 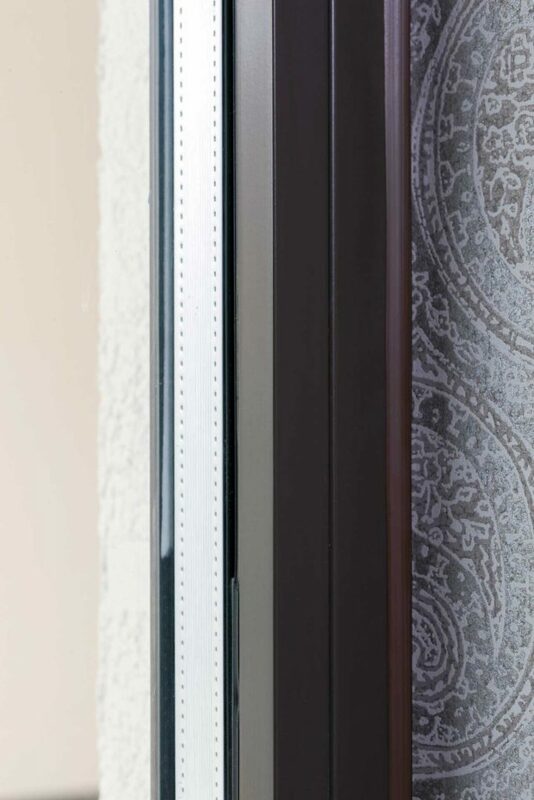 Even though Alitherm Heritage windows feature super-slim frames they can still accommodate 36mm double glazed units to achieve the required ‘B’ energy performance rating of a modern installation. 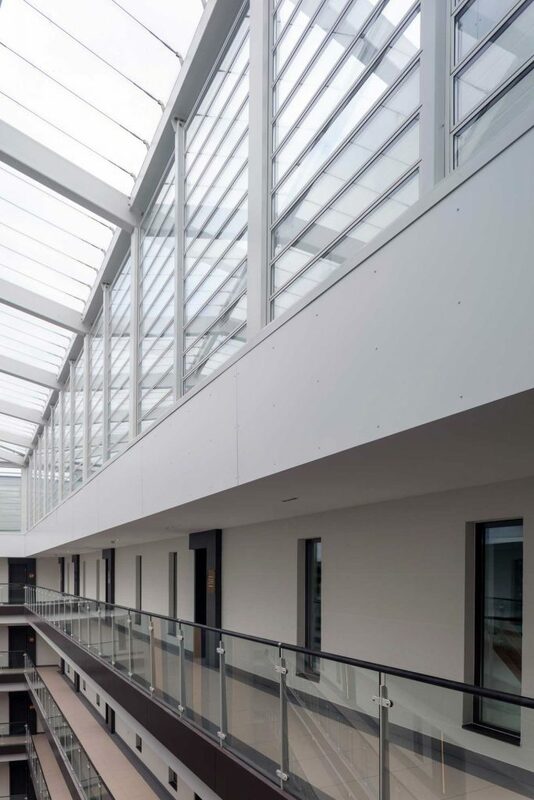 The fifth floor of the building features a stylish balcony with far reaching views of the city and surrounding countryside. 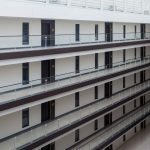 For the balcony doors, we used the Smart Eco-futural System. 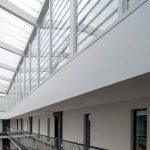 This provided a visually attractive and thermally efficient glazing solution. For the ground floor retail area, we used Smart wall commercial doors for the 10 double door sets including one automatic door to enable convenient disabled access. All the windows and doors used in the project were polyester powder coated in dark brown. 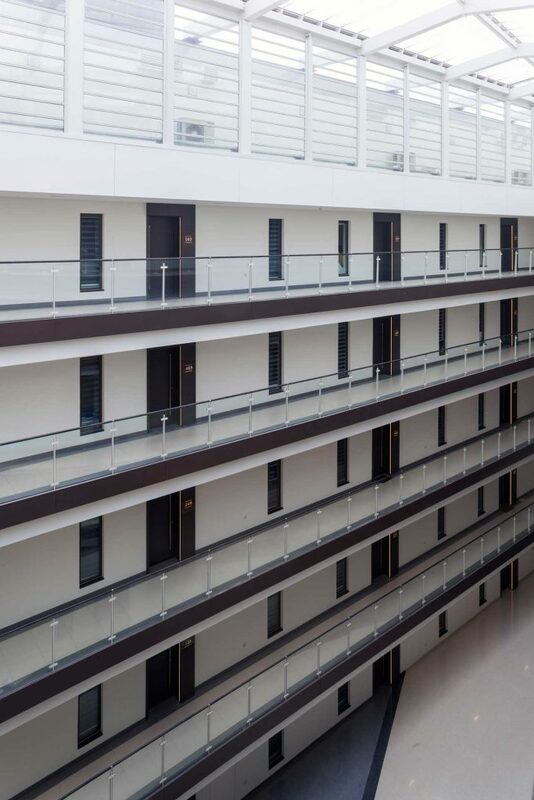 The style and colour of the windows perfectly complements the building’s design and provides a durable and low maintenance finish, essential for a multi-floor building located in such a prominent position. The Grade II listed building has now been converted into a multi-use building. 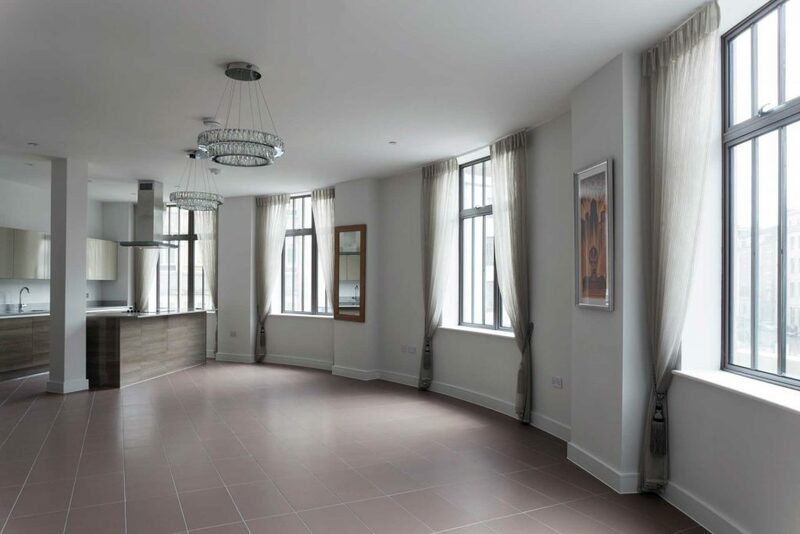 85 luxury apartments set over five floors offer contemporary accommodation while a large ground floor commercial area provides convenience for residents. The installation won the coveted Best Refurbishment Project of the Year 2016 Housebuilders Award organised by Housebuilder Magazine. 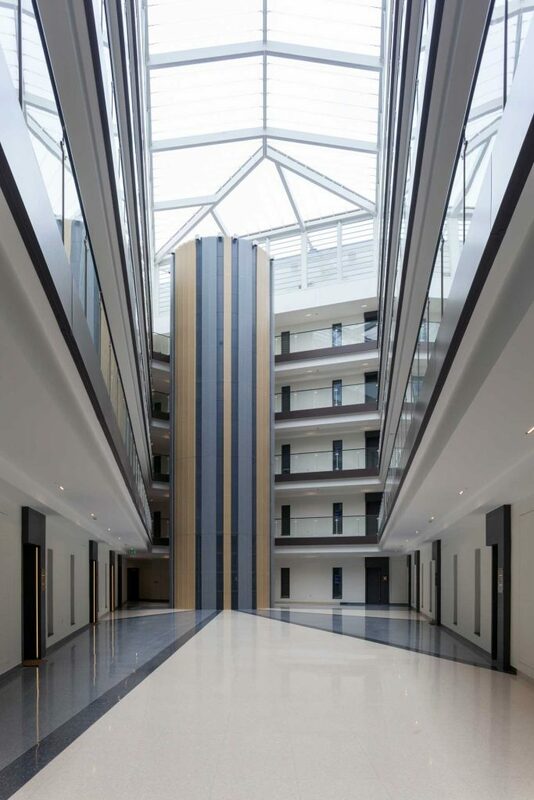 The project was particularly successful in recreating the style and ambience of the 1939 building including the restored marble, Art Deco foyer.